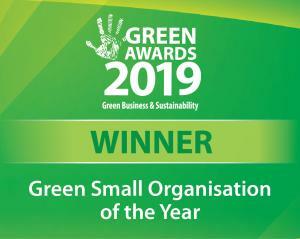 Fifty-four percent of Irish organisations participating in the World Green Building Trends 2018 SmartMarket Report expect their projects to be green by 2021. This is well above the global average – 47%. “The number of green buildings has increased significantly in Ireland over the last 5 years” says Pat Barry, CEO of the Irish Green Building Council. “There are substantial social and economic impacts of going green. These buildings create a more productive workplace for occupants and can help with mitigation of climate change. Green Buildings also see benefits for corporate reputation and the building itself has lower volatility in market value”. Published today by Dodge Data & Analytics, the new industry report shows that client demands is the most important trigger for new green building activity in Ireland, selected by 71%, more than double the global average. Environmental regulations are the other notable trigger in this country. 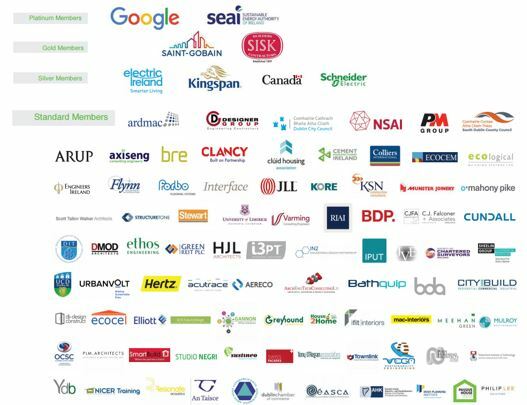 In spite of these encouraging results, the lack of educated green building professionals was identified as a key obstacle to more green building by nearly half of Irish participants. “Construction professionals have substantial responsibility in promoting a greener built environment. The sustainability skills of the Irish construction sector must be updated if Ireland is to achieve its climate targets” says Barry. 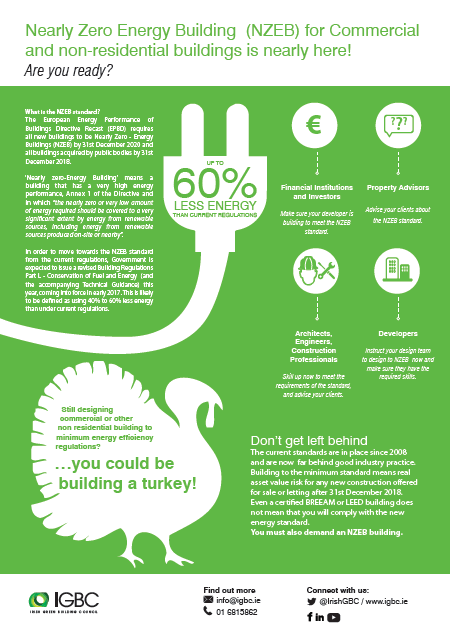 “As part of its training programme, the IGBC recently launched a nearly Zero Energy Building (nZEB) webinars. We also work in close cooperation with other construction institutes to better incentivise professionals to upskill in the area. Yet, we cannot achieve anything without strong governmental support and leadership”. The World Green Building Trends 2018 SmartMarket Report indicates that the international market for green construction projects has grown significantly in the last 10 years and demand for green building activity is poised to grow globally. “Enthusiasm for green building is clear in all major markets measured, and that is driven by the business benefits they receive, which have stayed consistent since 2012,” says Donna Laquidara-Carr, Ph.D., LEED AP, Industry Insights Research Director with Dodge Data & Analytics. Healthier buildings also emerged as a top green priority in the study. For example, the top social drivers for green buildings included improved occupant health and well-being. Other social impacts becoming increasingly important include creating a sense of community and supporting the domestic economy. “The study, supported by our Green Building Councils in five regions, demonstrates that green building is seen by the industry as a key business benefit. Additionally, around the world, green building is considered to have an impact beyond significant environmental benefits, such as increased employee productivity and satisfaction,” says Terri Wills, CEO of the World Green Building Council. Participants in the survey included over 2,000 architects, engineers, contractors, owners, specialists/consultants and investors from 86 countries. The report aims to analyze the level of green activity, the impact of green building practices on business operations, the triggers most likely to spur further green market growth and the challenges that may impede it. Dodge Data & Analytics produced the study in partnership with Carrier, with major support by the American Institute of Architects and Autodesk, additional support from the U.S. Green Building Council (USGBC) and participation as a premier research partner by the World Green Building Council. For more information on the overall findings, or the specific findings in Ireland, download the free report here. The Irish Green Building Council launches today a webinar series on the imminent nearly Zero Energy Building (nZEB) requirements.